Man-made or industrial processes, localised or geographically distributed, need be automated in order to ensure they produce quality, consistent, and cost-effective goods or services. Automation systems for these processes broadly consist of instrumentation, control, human interface, and communication subsystems. This book introduces the basics of philosophy, technology, terminology, and practices of modern automation systems with simple illustrations and examples. 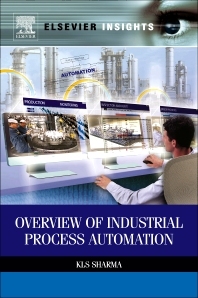 Dr. Sharma is an industrial automation professional by education, qualification, and practice. He worked in the automation industry for over 33 years (25 years in ABB India) followed by academic institutions promoting automation education and training. He has totally dedicated himself to teach/train people in industry and academic institutions in current philosophy, technology, terminology, and practices in automation. He has several articles to his credit in automation education and training in automation magazines.